The Muslims living in the valley and many of their neighbors gathered on the land (935 South State Street) acquired for the groundbreaking of UVIC community center and mosque on June 22, 2013. 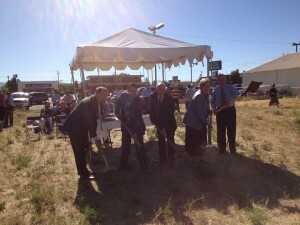 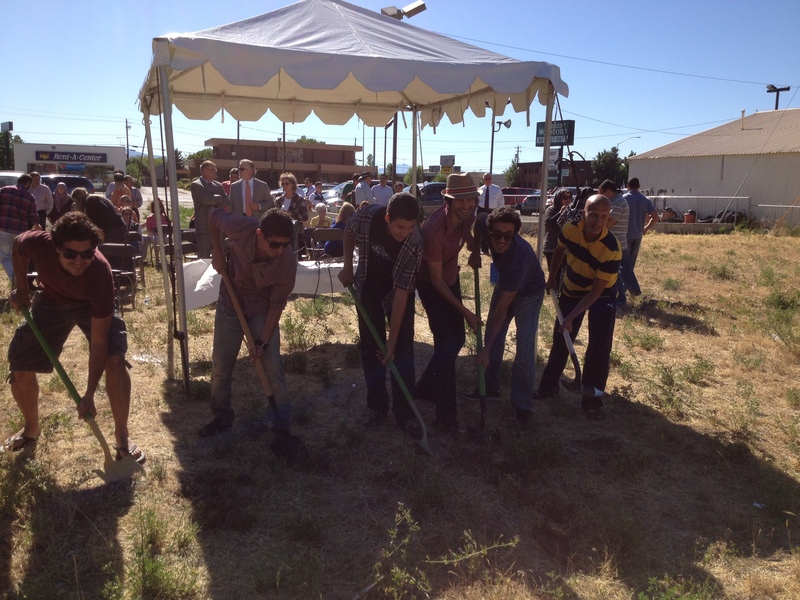 Professor Ian Wilson, Senior Vice President of Utah Valley University, lead the group in picking up the shovels followed by groups of civic leaders, religious leaders, mothers, young men, young women and children joining the shovel ceremony. Local news reporters covered the event. Dr. Brian Birch, Associate Vice President of Utah Valley University, delivered the keynote speech and Dr. Tala’at Al-Shuqairat, president of UVIC, offered the consecration prayer. 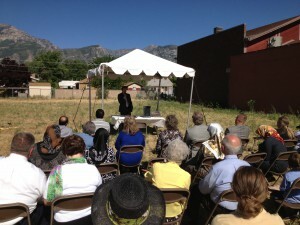 The guests joined a dinner later in the afternoon at the Center Stage, Utah Valley University, where Imam Shuaib Uddin of UIC delivered a fund raising plea. 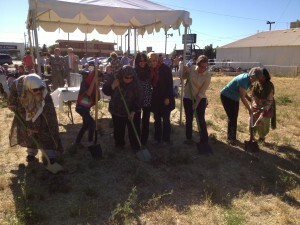 Total raised was about $40,000 and the donors included people of many different faiths.